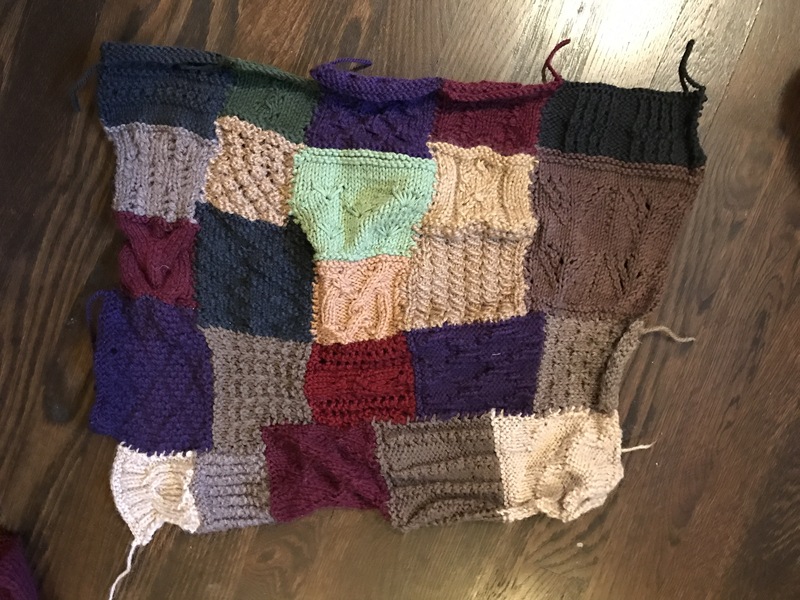 My knitting challenge actually started last year when I received the book “750 Knit Stitches” for Christmas. 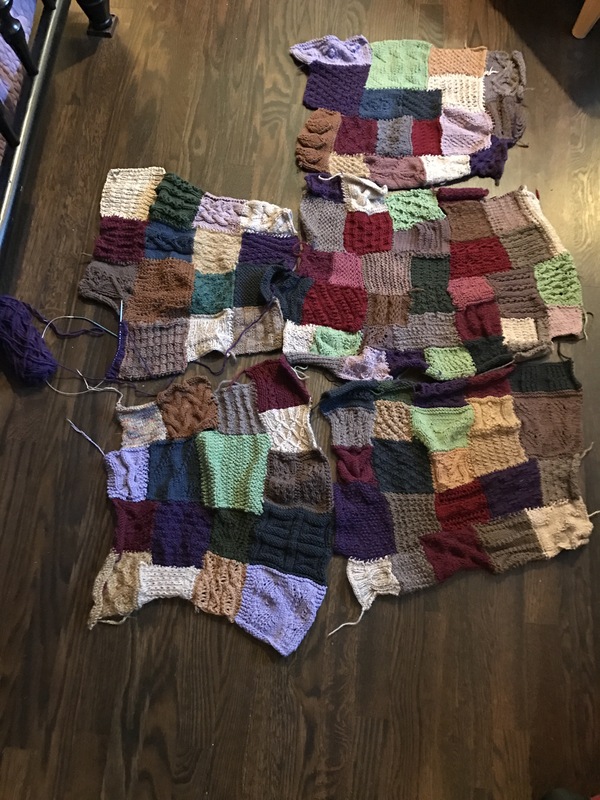 I started making squares with a view towards seeing them all together to form a quilt. 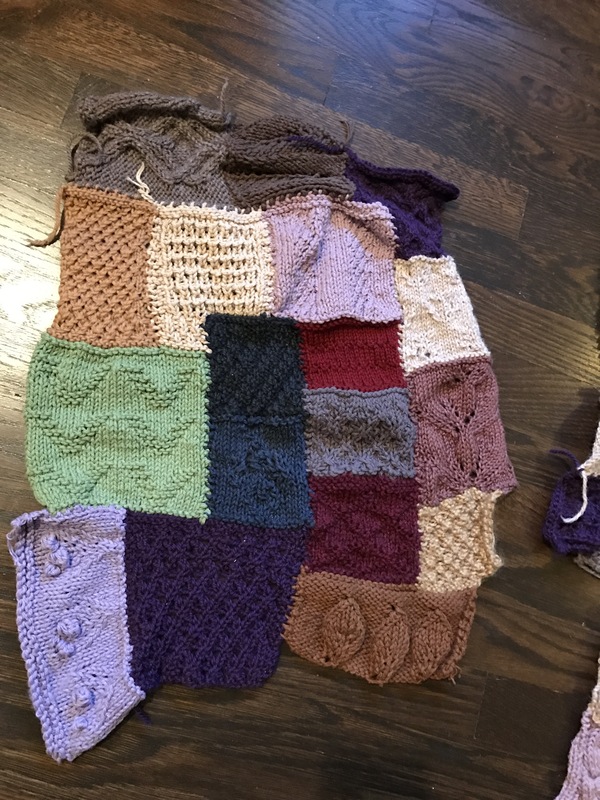 A case of the flu gave me a chance to make good progress, but once I began self-employment, it became a tucked away project. That’s 107 panels completed so far!! Whew! 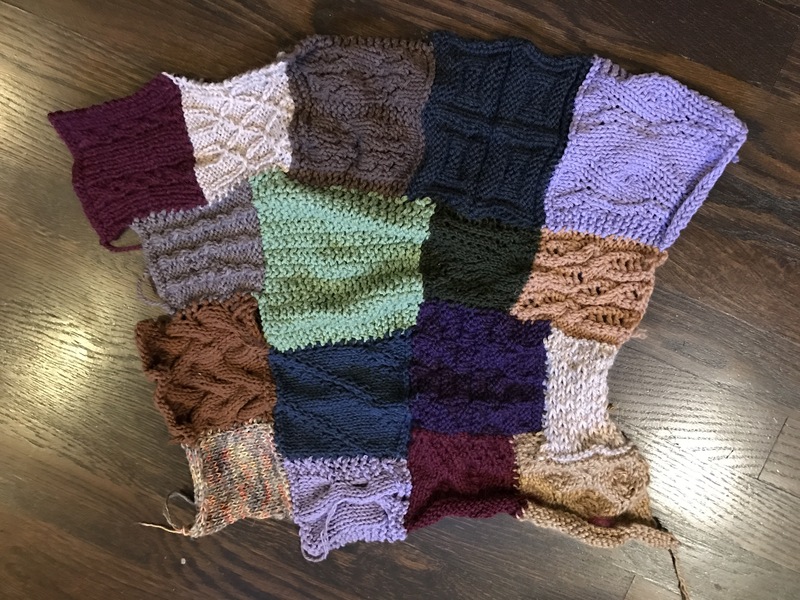 Issue number 2: multiple yarns— as you can see, I have been knitting squares together using multiple yarns as I go but the thought of carting around a bunch of different skeins on the plane makes me tired. I think I will find a yarn shop in Boston and leave them in my suitcase in ny office. 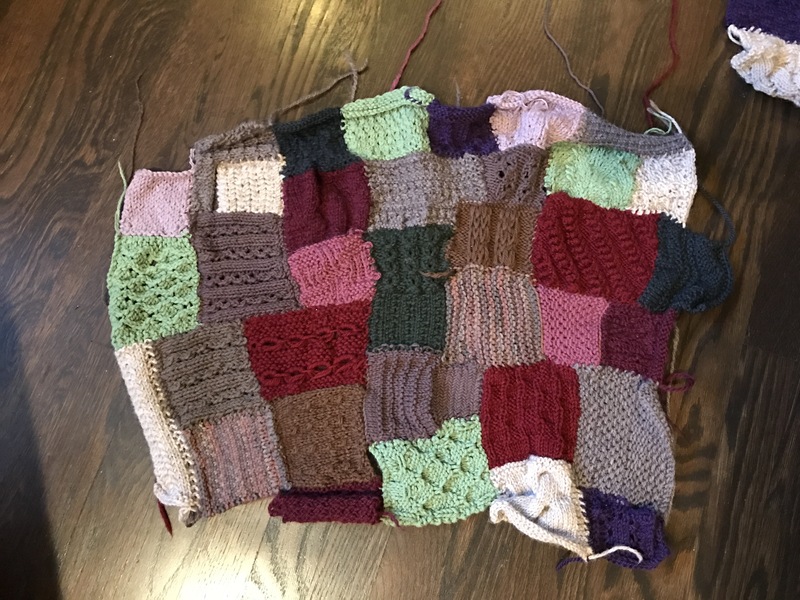 Issue number 3: stitch book–as I have knit each square, I have checked off the stitches in my book. The problem is that the book is freaking heavy! My new plan is to use the “stitched at” website moving forward, which will make things easier on the go. I think blogging about them will also help me keep track of what I’ve done and which ones I liked. 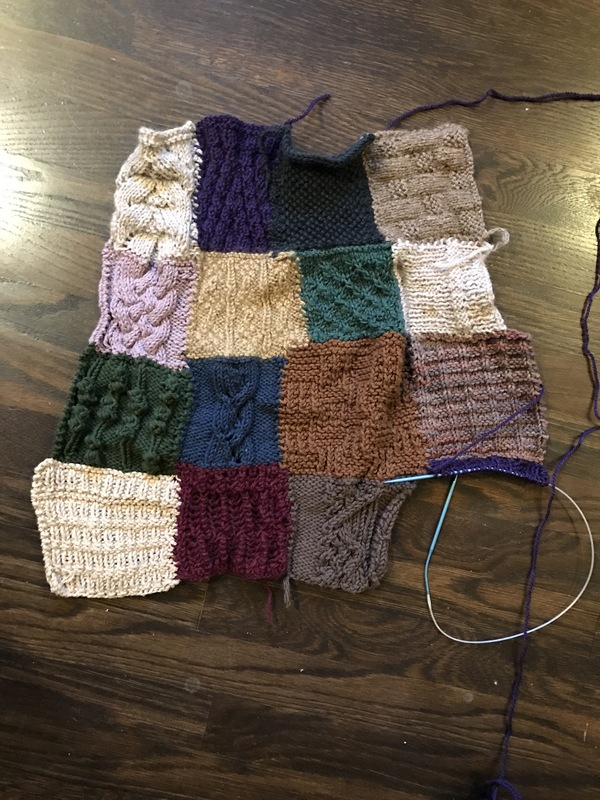 The goal with the knitting project is to challenge myself to learn new stitches and find some favorites that I enjoy.